Give our Black Leather Office Gift Set as a retirement gift, employee award, or vendor gift! 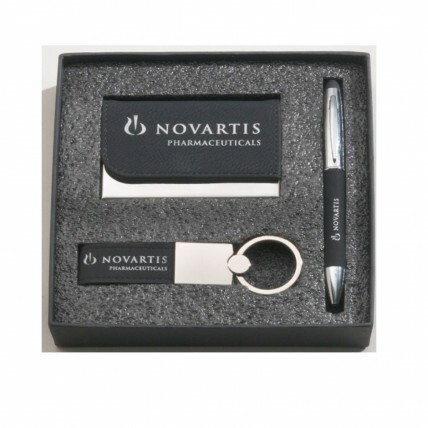 This corporate gift set includes an engraved pen, personalized business card holder, and engraved keychain in black leather with chrome accents. Laser engraving of your business name and logo are included for FREE! Includes black gift box.